This simple residence is a glowing example of what can be achieved when the client, the architect and the builder all share the same vision. The client, a high-ranking clergyman, wanted a simple rural retreat for contemplation and reflection that would blend seamlessly with its rural surroundings. 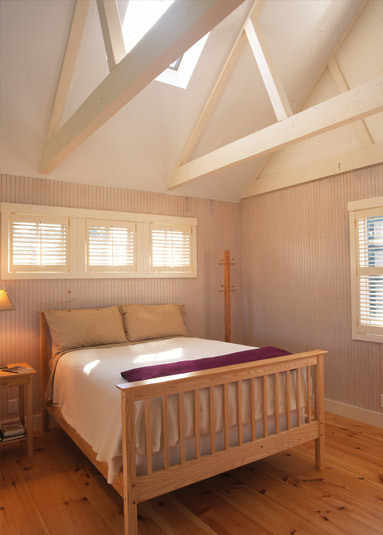 This refuge is part of a cluster of cottages that have been built on the site of a 100-acre New England monastery. Both the budget and the resulting structure were small – the construction price was only $120,000 and the home measures 950 square feet – but the results prove that a limited budget and small scale does not preclude good design. 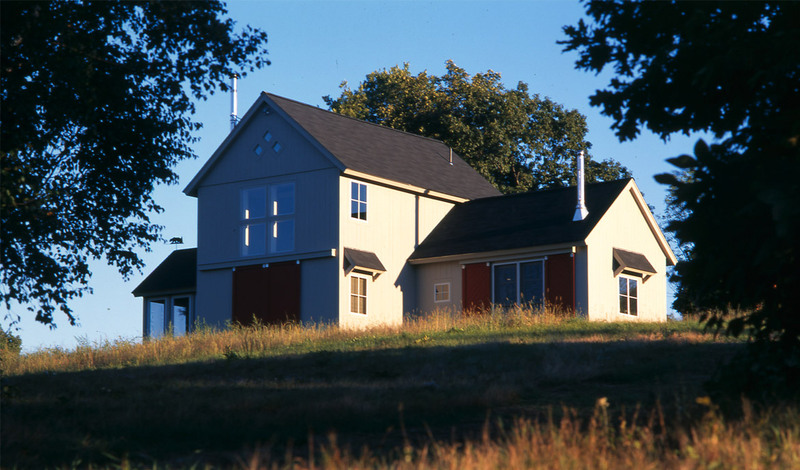 The home was built on a knoll and the design echoes the agrarian form evocative of New England barns. The building holds the cleric’s living quarters as well as a fully equipped pottery studio where he is able to work for relaxation. 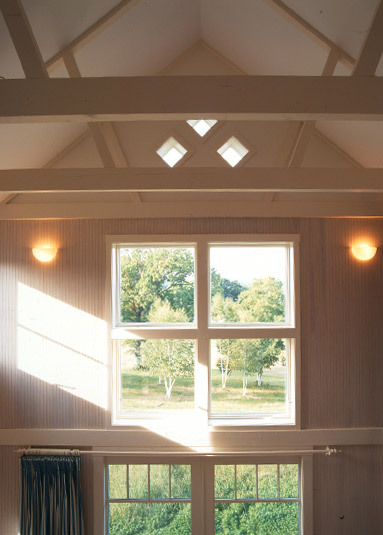 The architect began with a L-shaped plan and positioned the skylight studio to the east. The south-facing living room opens to a simple kitchen with a loft above. This loft allowed for the creation of a 23′ foot high cathedral ceiling in the living room which provides for a dramatic light filled space. 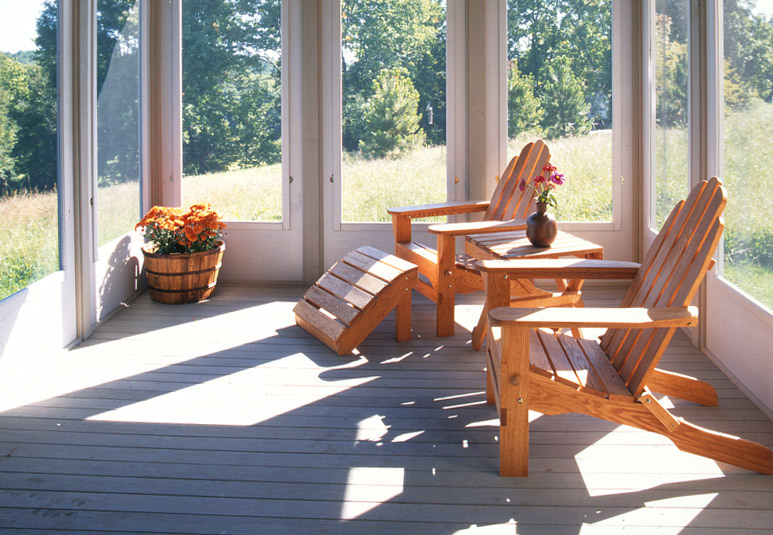 A three-season porch facing west is another space for the homeowner to enjoy the views. Materials used throughout echo the simplicity of design. The exterior siding is white barn board, the floors are made from local white pine and ordinary composite shingles protect the roof. 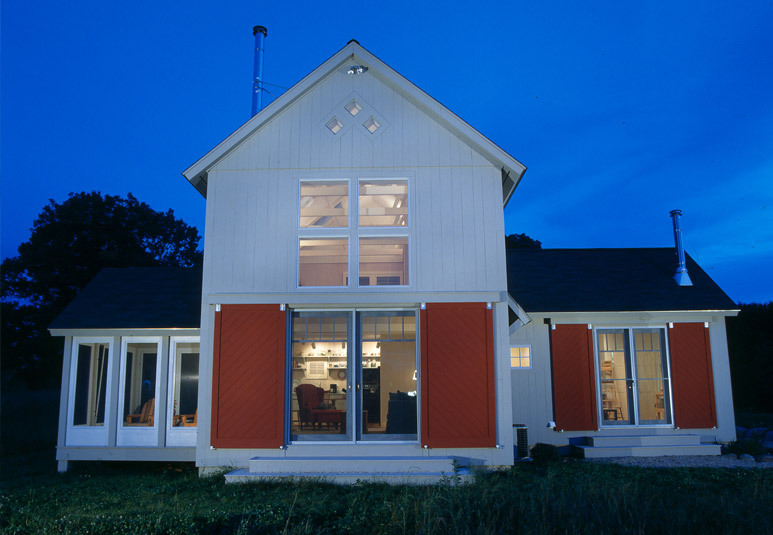 The barn motif is continued on the outside with standard barn doors that slide together for privacy. Even with the doors closed, light floods the space from the upper story clerestory windows. The kitchen contains the only concessions to luxury, but respect has been paid to local materials as well. The granite countertops are from neighboring Vermont and the custom cabinetry is patterned after a Shaker design. 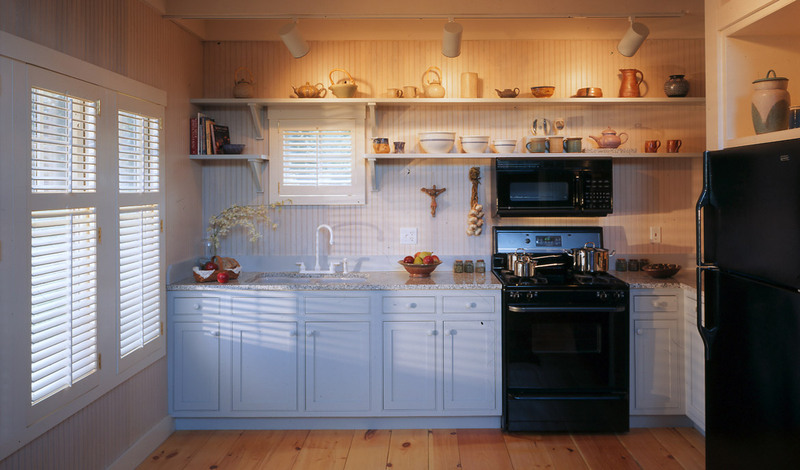 The shelves were left open to keep costs down as well as provide display space for the homeowner’s pottery.